Construction is a way of life here in metro New Orleans & Baton Rouge. Both private and municipal organizations are developing or re-developing land, buildings and infrastructure to modernize our cities and improve the quality of life for local residents. During the planning or construction process, our team at Bayou Tree Service serves as your primary point of contact to ensure the trees you’re trying to preserve are well taken care of, as well as planning to plant new, healthy trees that will thrive for many years to come. Please contact our team of Louisiana Licensed & ISA Certified arborists today to schedule a consultation on how our team can assist with planning and management of the construction process. 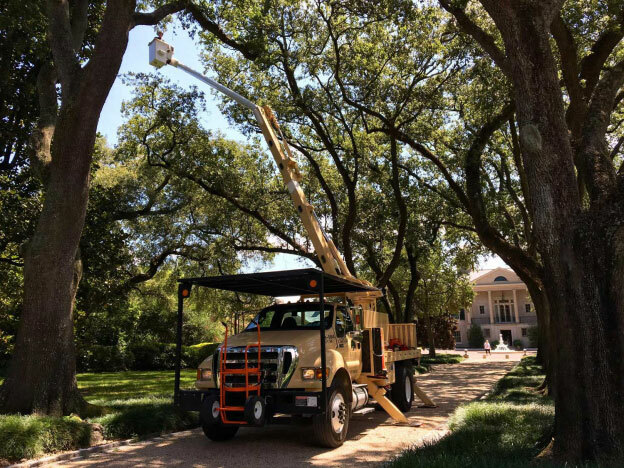 When it comes to construction and planning, you won’t find any other local arborist with the wealth of experience and knowledge than Bayou Tree Company. Our team has directly managed countless tree care projects from golf courses to downtowns, residential areas to shopping districts. Click here to see a partial list of projects we’ve completed. Building a fence, frame or box at least four feet high and at a safe distance from the tree, based on its trunk diameter. Our certified arborists are trained in calculating these important measurements for you. Protecting tree root zones from construction work and changes to natural drainage. Again, our certified arborists are skilled at assessing the proper distance that construction should take place away from a tree, and preserving its root system. Some Louisiana Parishes and Mississippi Counties may have an arborist on staff who they make available to you to help with these preparations. But you’ve got to keep in mind that their concern is protecting the tree only. 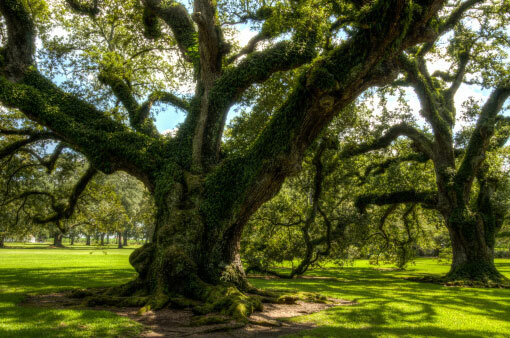 We’ve been working in Louisiana and Mississippi since 1978 assisting developers with construction planning and management to not only protect the trees we love, but also help developers draft beautiful structural and landscaping designs that incorporate the trees and best accentuate their beauty and presence. From inspections and planning to cleanup and maintenance, Bayou Tree Service offers everything you need for construction planning and management to ensure your trees and patrons are safe, happy and healthy! At Bayou Tree Service, we pride ourselves not only on our professionalism, experience, hard work and craftsmanship, but also in our ability to deliver construction planning and management services at competitive rates. If you’ve received a recommendation from a developer who has used us for construction planning and management and would like us to give you an estimate, let us know! Or, if you have an RFP that you’d like us to bid on, we’d love to be considered. We can be reached at two different numbers: (504) 608-0731 in Metro New Orleans and (225) 228-4289 in Greater Baton Rouge.